I'm not sure if you can tell from the pictures, but I made these into basically 1 maybe 2 bite cookies. I have to warn you, if you make them this size (maybe an inch in diameter) you will get a lot of cookies. From this recipe I made about 100 cookies which was great in this case because the cookies were excellent and I was able to freeze a bunch for later. I made these two different ways: half without sugar and the other half with sugar. The ones without sugar were a little more chewy and the ones with sugar were a little more crisp. Nate and I were split on which ones we liked more. These do use Xanthan gum which I usually don't use since it is really expensive. A little bit goes a long way though, so if you can stomach the $10 price tag for a small amount, you can make a lot of stuff with it. Preheat the oven to 350 degrees F and lightly grease 2 cookies sheets (you'll have quite a few batches). Mix together the first nine ingredients. In a separate bowl, mix together the butter, molasses and sugar and then beat in the egg. Slowly mix in the dry ingredients until everything is combined (dough will be sticky) and refrigerate for at least 30 min. Divide the dough into 4 equal sections and roll each section into logs between 1/2 inch and 2 inches in diameter (depending on how big you want the cookies). Cut the logs into thin slices. 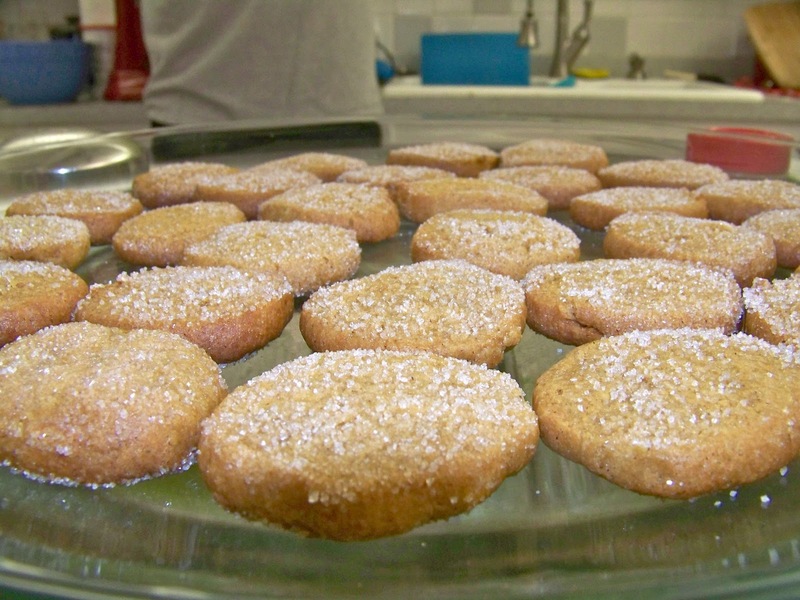 If you are using sugar, dip both sides of the cookies into the sugar and place the cookies on the sheet. If not, then place the sliced dough directly on the sheet. 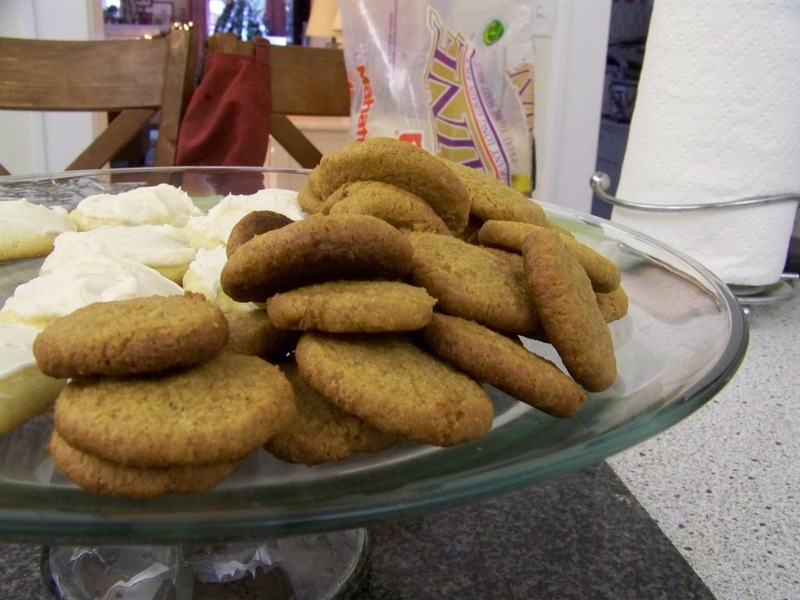 Leave about an inch between the cookies as they do expand a little. Bake the cookies for 9-11 minutes. Let the cookies cool for about 5 minutes and then transfer to a wire rack. Store in an airtight container or freeze extra cookies (they are even good frozen!). Enjoy!